It's been a long time since Kanye West released Yeezus (back in 2013), and fans have been waiting for his upcoming album, Swish, for months now. Because Kim Kardashian West is an awesome human being, she's taken to Twitter to announce that her husband will be releasing new music every Friday. The first track, "Facts," dropped on December 31, 2015, and Kim Kardashian West posted on Twitter on Friday that we could indeed expect another song from the rapper imminently. And it's finally here! The second new track, presumably from upcoming album Swish, is called "Real Friends" & "No More Parties In LA (Snippet)" and features West and Kendrick Lamar, as if you needed more reasons to listen immediately. It's already been so popular that, upon being made available on SoundCloud, the page on the site crashed, and it's currently not possible to access to track for this very reason. While this is very inconvenient, and the whole world is desperate to hear Kanye West's new music, like, right now, it's completely understandable. West has continued to garner acclaim over the past few years, and has a lot of eager fans keen to hear whatever he does next. So while we wait for SoundCloud to fix whatever it is that Kanye West's many fans broke, what do we know about "Real Friends" & "No More Parties In LA (Snippet)?" First of all, they're two different songs. With a haunting melody throughout the song, and an addictive yet subtle beat, "Real Friends" is an emotive and reflective Kanye West track. As well as examining the ways in which celebrity has altered the relationships in his life, and the lives of those around him, West riffs on the idea of what a real friend is. Ty Dolla $ign's lines include lamenting friends who call up, under the false pretense of catching up, only to get back in touch to ask for favors. West asks the question, "When was the last time I remembered a birthday?," going deep into the question of what makes a real friend. Just like The Weeknd's "Tell Your Friends," which Kanye West co-wrote and performed on, the lyrics discuss family members who use and abuse the newfound fame of their relative. In "Tell Your Friends," The Weeknd sings, "My cousin said I made it big and it's unusual, she tried to take a selfie at my grandma's funeral." Somewhat similarly, West's "Real Friends" includes the lyrics, "I'm a deadbeat cousin, and I hate family reunions, f*ck the church up by drinking at the communion." The darker side of fame, and the way it interferes with family life, appears to be an important theme in West's new work. Meanwhile, "No More Parties In LA (Snippet)" is short but sweet, giving us a taste of an amazing song that I already can't wait to hear the rest of. 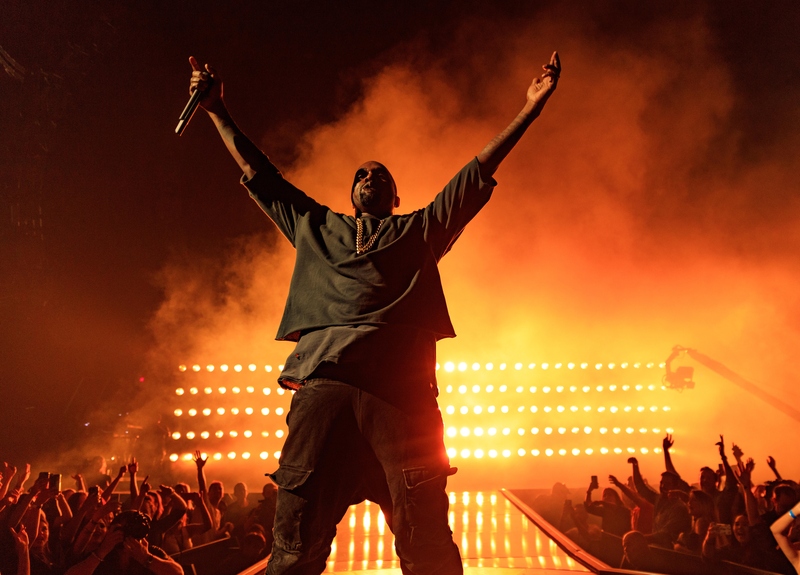 Thank goodness new Kanye West tracks are dropping every Friday from now on. All hail Yeezus.